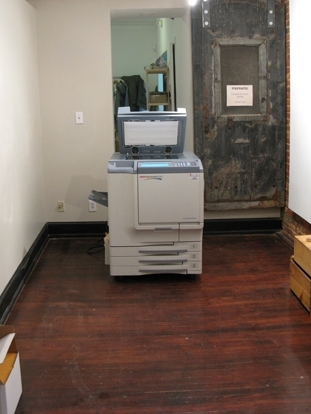 Printeresting is a group dedicated to interesting print miscellany. Through our website and real-world projects, we locate, curate, produce, contextualize, and distribute print-related content on a range of subjects, including fine art, design, visual culture, and technology. We offer this service for free in order to share good work and expand the scope of the critical discourse surrounding printed art. Our aim is to inform, amuse, and influence our international audience of students, practitioners, curators, and collectors. Ultimately we hope to shape the future of print. In addition to our writing, we often collaborate with institutions and other artists to produce art and events, curate exhibitions, give lectures, award grants, and, generally make the world a more interesting place. 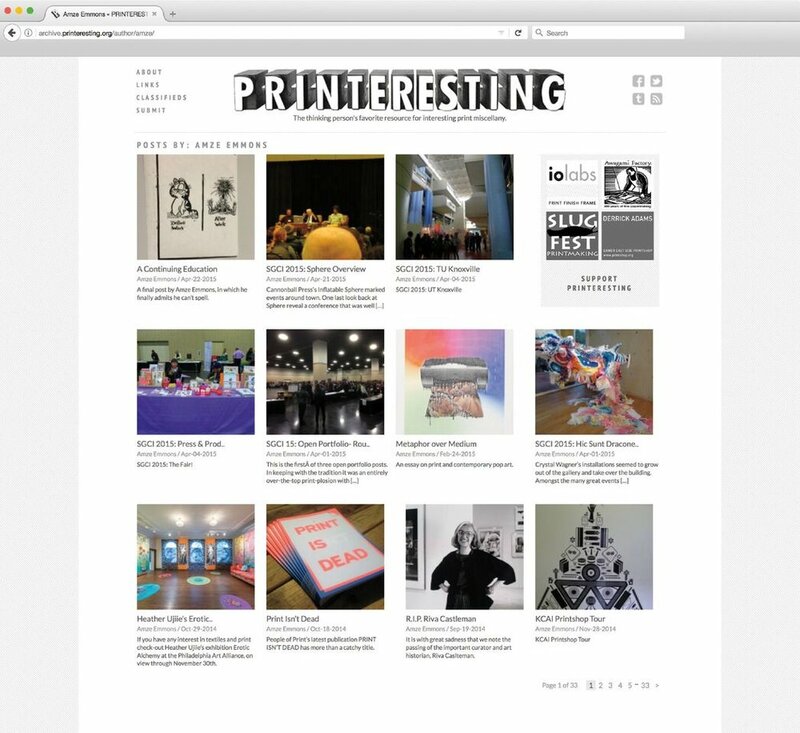 For seven years the Printeresting art blog was a multifaceted site, posting over 2000 posts with the help of nearly a dozen guest contributors. We worked to expand the conversation around the fine art print, and with a peak average readership of over 30,000 distinct site visitors a month and regular translation into over 70 languages (averages based on Google analytics data), there is every indication we had some impact on the discourse. In support of our work, we were awarded a 2011 Arts Writers Grant from the Warhol Foundation/Creative Capital’s Arts Writers Program. On April 24, 2015, Printeresting halted regular blog posting to focus on producing events, publications, and exhibitions that forge new relationships between the actual and virtual worlds and to allow more time for us to develop projects from our core principals of research, community, and collaboration. We discussed new models for bringing together printed, online, and real world activities into singular thematically focused projects. 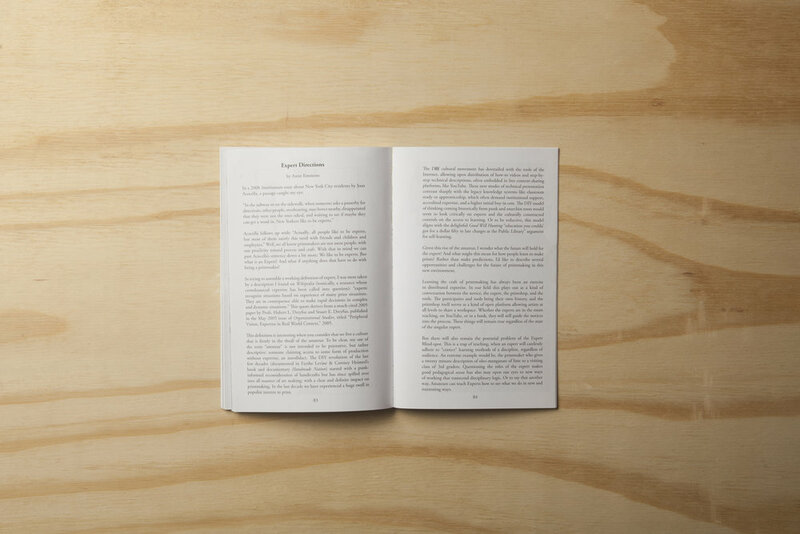 To that end, in October 2015 we launched a month-long confluence called GHOST. While the idea of the confluence proved too unwieldy to be an annual affair, looking ahead, we are currently in the mid-stages of developing a project investigating the nature of copying, which will involve an international cast of artists, a publication, and an publication/exhibition, all of which is scheduled to open at the International Center of the Graphic Arts in Ljubljana, Slovenia in November-December of 2017. And on another note, we are eagerly awaiting the publication of Dr. Ruth Pelzer-Montada’s edited collection of text, Print Matters: an anthology of critical writing on prints and printmaking since 1986, due out later this year. 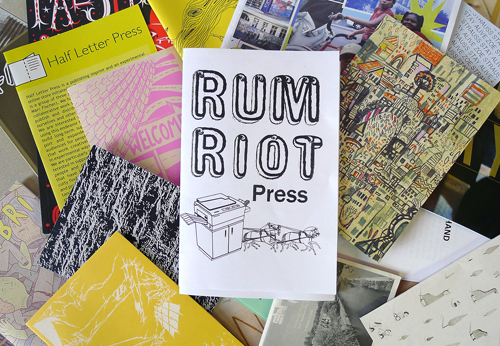 The anthology will include an essay from Manual co-authored by Printeresting. 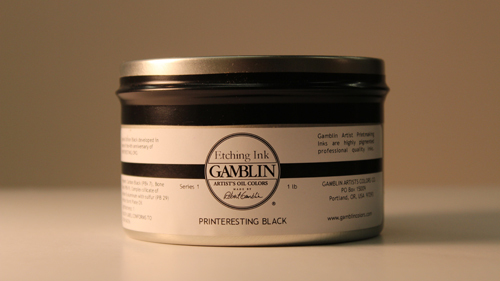 It’s important to note that the outcomes generated by the Printeresting project are hybrid, at times entirely critical, and at other times more creative in nature. These changes in register are partly by our own design, and partly due to the rapidly changing nature of the media and economics surrounding arts writing and arts producing, and to the increasingly porous boundaries between the formerly distinct fields of, artist, curator, and critic. We leverage this ambiguity strategically, allowing the flexibility to best further our mission.